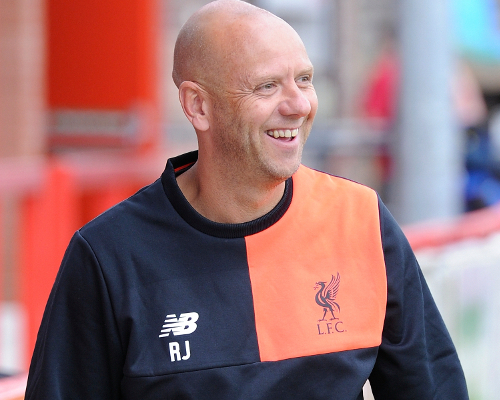 In our latest Academy column we speak to former Red Rob Jones, who tells us why Trent Alexander-Arnold's display at Old Trafford last week brought back special memories for him. I’ve been back at the club I love for a few years now doing some coaching at the Academy and it’s absolutely brilliant. When I was asked to come back along with Steve McManaman and Robbie Fowler it was an absolute pleasure and working alongside our academy director Alex Inglethorpe and the coaches has been a labour of love for me. It’s more of a mentoring role than anything else and if we can help the lads in their goals to try and become footballers, then that is what we are there for. We are there for the lads, it’s not about us, and we want these players to be playing one day for the first-team at Anfield. What we tell the players is go out and enjoy their football, keep listening to the advice and learning and then one day you will hopefully reap the rewards. At this young age you dont worry about contracts and money, it's about enjoying the game. I remember when I signed for Liverpool from Crewe Alexandra and I would have given £500 a week to the club for letting me play for them. We have got some great lads here and they know what a privilege it is for them to represent Liverpool Football Club. They see Steve Heighway, who is back at the academy walking down the corridor and coaching the young kids. As coaches we are still learning from him. He has got some great stories and is an inspirational figure. The Academy is a very happy place under the tutelage of Alex and everyone is pulling in the same direction. On the training pitch I will help with the defenders, Macca will look at the midfielders and then the strikers have Robbie, which is unbelievable for them. There is a really good set of coaches here and the balance is working really well. 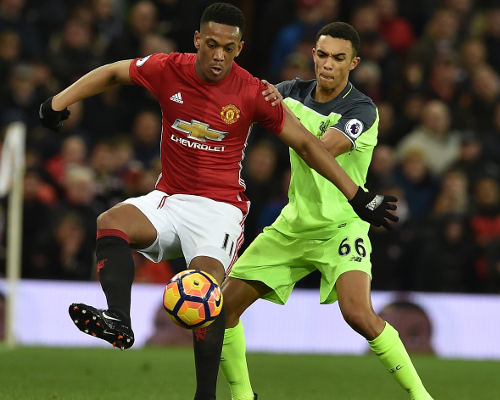 It was a special moment for Trent last weekend when he was given his first Premier League start at Old Trafford. Trent’s performance against Manchester United certainly brought back special memories for me. I still remember the date well. It was October 6, 1991 when Graeme Souness told me I would be marking Ryan Giggs on my Liverpool debut! Fortunately the day went quite well and we managed to keep a clean sheet and it gave me a platform to start my Liverpool career. For Trent, his Liverpool life is just beginning and he knows how much work lies ahead, but I have to say he has made a good start. I was delighted for Trent when Jürgen Klopp showed so much faith in him to give him a start against our arch-rivals and I thought he was exceptional. People were making a few comparisons on the television with my debut back in 1991. I know what it’s like playing for Liverpool at Old Trafford. It’s a difficult game to make your first start in the Premier League anyway, but it’s that much harder at Old Trafford with the pressure and atmosphere that comes with it. He played similar to what I had done in that he played his normal game. He didn’t try anything a bit different and did his job for the team. I think it’s important to remember that Trent only started playing at right-back just over a year ago. When he was in our U16s side and broke into the U18s he was a midfielder until Neil Critchley put him in at right-back. Trent is still learning the game but he has just been exceptional. I worked with him on the training field just giving him a bit of advice and he is a pleasure to coach. He is a listener and when you talk to him and tell him what he has done right and done wrong, he will take everything on board, listen and then work as hard as he possibly can to improve on that. Trent wants to learn, you can see he has got that in him. He’s a tough Scouser but wants to learn. He wants to be a footballer and I think when you have got the attitude he has you are halfway there. On Wednesday night we saw another fantastic boost for the Academy when our U23s captain Harry Wilson made his first-team debut when he came on for Philippe Coutinho in the FA Cup third-round replay at Plymouth Argyle. Harry will be the first one to say there is no getting carried away by his debut and again, a lot of hard work lies ahead, but it was a nice moment for him especially after his injury last season. Coming into Kirkby all the staff and the lads are talking about it and we have seen a number of debuts for the young players this season. We came off the field after our FA Youth Cup defeat at Manchester City and the lads were down, but the smiles soon came back when we watched the final 20 minutes of the Plymouth game and saw Harry playing and doing well, along with Trent, Ovie Ejaria, Ben Woodburn and Kevin Stewart. 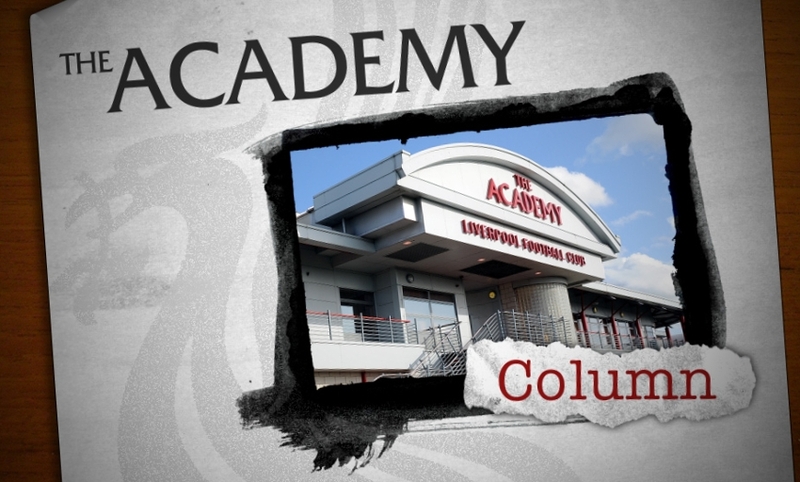 It just added something else to the great work that is going on at the Academy. It was a frustrating night for the U18s when we lost 3-1 at Manchester City in the FA Youth Cup fourth-round. City have one of the strongest teams at Academy level but I thought the lads gave a really good account of themselves and there is certainly some very positive signs for the future. City’s forward line is one of the best in Europe at this level and we knew it would be one of the hardest games we have had this season. 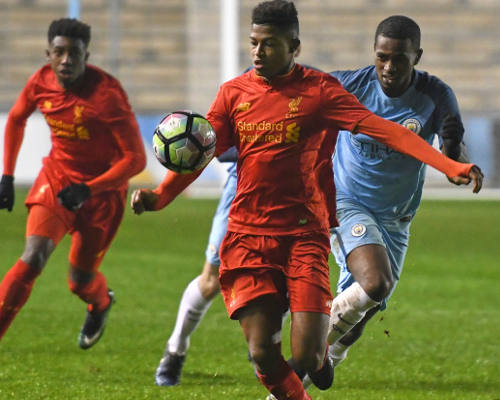 In the first 45 minutes the lads were exceptional and every single one of them ran their socks off and we went in at half-time deservedly level thanks to an excellent finish from Rhian Brewster. In the second-half City got the break when they scored from a corner and at 2-1 down to a side like that it’s always going to be tough. To be fair to the lads we could have scored and got an equaliser but it wasn’t to be. The lads were absolutely gutted but Alex and Neil were proud of the lads and the way they performed.